Official: NBA's Kobe Bryant To Play In Italy : The Two-Way According to the AP, the 33-year-old Bryant will be paid $3 million to play about 10 games, starting in October. It's another sign that the NBA season is in jeopardy. Players have been locked out by a labor dispute. 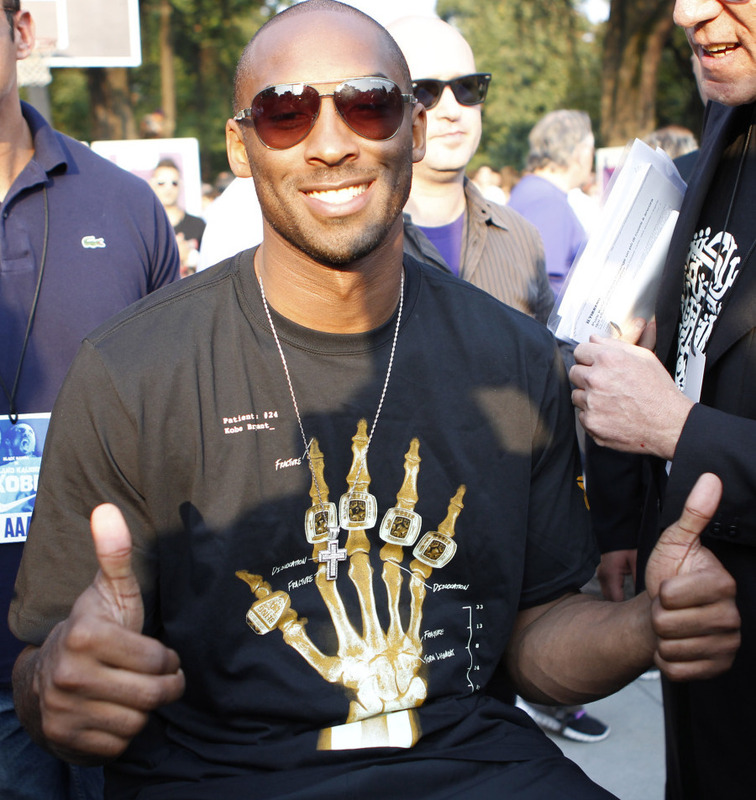 Basketball star Kobe Bryant in Milan, Italy, on Wednesday, (Sept. 28, 2011). "Italian club Virtus Bologna said it has reached a verbal agreement with Kobe Bryant for the Los Angeles Lakers star to play in Italy during the NBA lockout," The Associated Press reports. "We have reached an economic deal," Virtus president Claudio Sabatini told a local radio station. "There's still some things to arrange but at this point I'm very optimistic. I would say it's 95 percent done." As the Los Angeles Times adds, "it appears Bryant's revelation in Italy this week that it's 'very possible' he'd play there served more than just marketing hype surrounding his Nike promotional appearances." "Between the ages of six and 13, Bryant lived in Italy when his father Joe Bryant played with Rieti, Reggio Calabria, Pistoia and Reggiana from 1984-91. The elder Bryant also once owned a small part of Olimpia Milano. ... The younger Bryant still speaks Italian fairly well, and discussed his memories of his time in the country during an interview with the Gazzetta dello Sport two days ago."